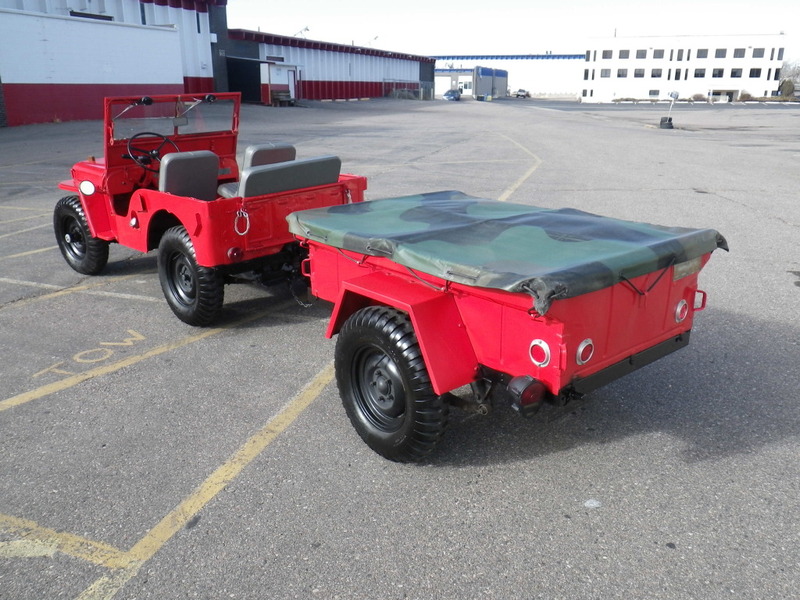 This Willys (pronounced Will-is, not Will-EEs) was manufactured two years after the Slick version was born and it is the classic short wheel base WWII Jeep variant. It, too, didn't serve in the military during the Vietnam conflict and likely spent a few years in Canada to avoid the draft...of much faster vehicles. Just how slow is an original Willys...owners always say "don't ask, don't tell." 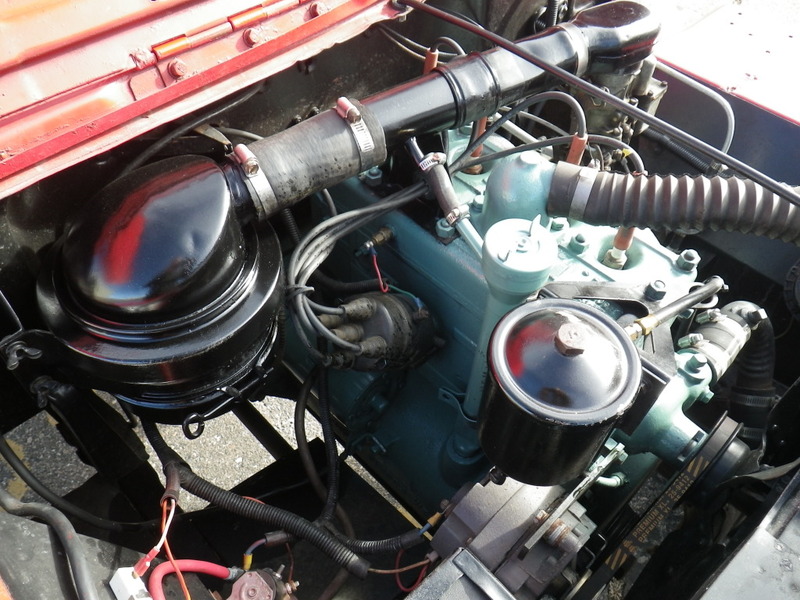 This Jeep is powered by an L-head inline 4 and before you ask -- no the L is not short for Lewinsky, it is actually a reference to the location of the valves giving the engine block the appearance of an up-side-down L. The Go Devil L-head 2.2 liter engine puts out 60 horsepower and 105 ft-lbs of torque and was enough to make the Willys Jeep an excellent scout transport for infantrymen. 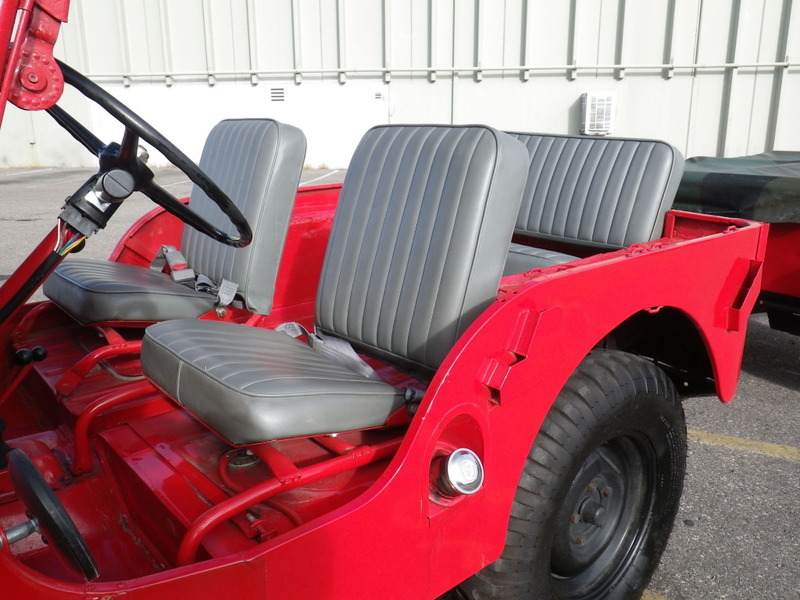 The inside of this red colored red-devil engined beauty has been well restored and any questionable stains have been long scrubbed clean of any subpoena-able evidence. It looks like a fun place to commute, the only problems would be breathing all the fumes from nearby traffic, so our advice when driving is: don't inhale. 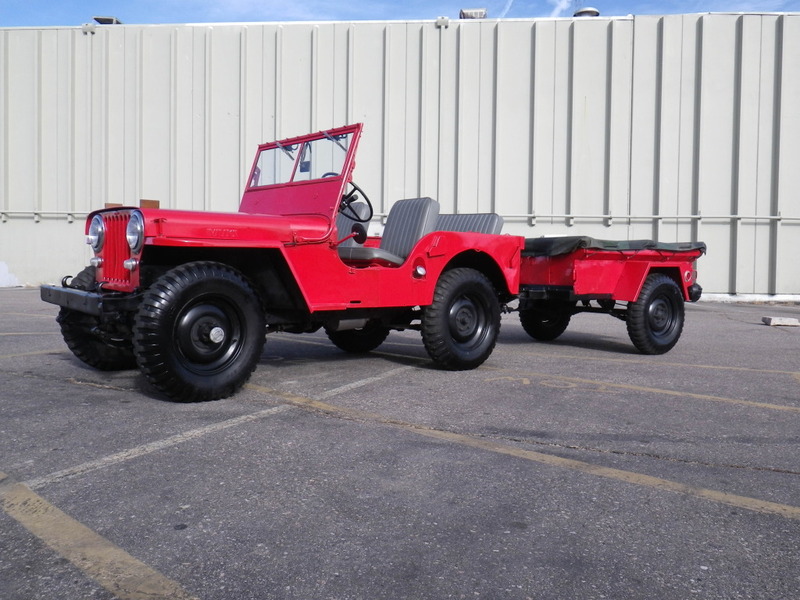 The bonus to this Willys is a matching trailer which will need a place to live, but adds a significant amount of useability to the trunk-less Jeep. Our biggest concern about this auction is that the seller makes all sorts of innuendo about selling the vehicle before the auction closes which is unusual for a teal Starr seller on ebay, but we can't find any other problems and this thing is in peach condition. ~ congratulations, you have earned the platinum star for restraint. how in the world did you hold your selves back from mentioning the Hummer? Did you miss the part about the L-head? Read it again. ~ from the 'my goodness, how quickly they grow up' department a reminder that today is this little gal's 50th birthday. seems like just yesterday she was crawling around on the floor of the Oval Office sticking things in her mouth.